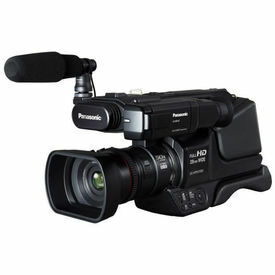 camcorder designed for European Video standards, and features an 1/5.8" Exmor R CMOS sensor and a wide-angle Carl Zeiss Vario-Tessar zoom lens with 27x optical zoom plus 54x Clear Image digital zoom. 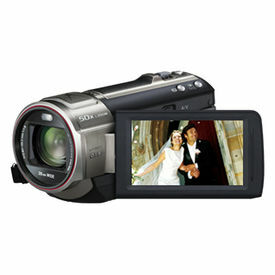 The CX240E captures Full HD 1920x1080 video at 50p and 9.2MP still images. SteadyShot image stabilization with Active Mode delivers smooth video, and 3-Way-Shake-Canceling adds electronic roll stability for even smoother results. 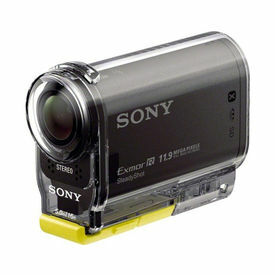 Users can monitor and playback footage via the 2.7" Clear Photo LCD display with 230K dot resolution. 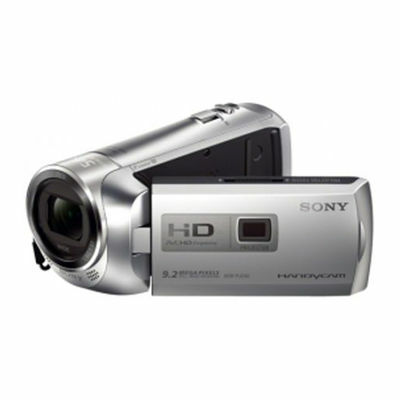 Dual recording lets you simultaneously capture both high-quality AVCHD and web-optimized MP4 files. The Intelligent Auto mode analyzes your shot and automatically selects the appropriate settings from ten distinct scene modes, with 60 different possible combinations. A built-in USB 2.0 cable provides a connection to your computer for charging or file transfer and fits conveniently into the hand strap, so it's out of the way until you need it. A rechargeable lithium-ion battery pack, USB AC adapter, HDMI Micro cable, and a USB connection support cable come included. 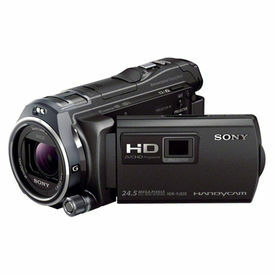 camcorder designed for European Video standards, and features an 1/5.8" Exmor R CMOS sensor and a wide-angle Carl Zeiss Vario-Tessar zoom lens with 27x optical zoom plus 54x Clear Image digital zoom. 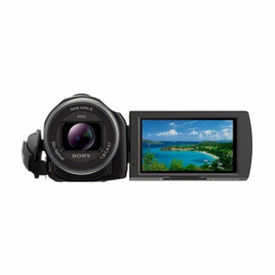 The CX240E captures Full HD 1920x1080 video at 50p and 9.2MP still images. SteadyShot image stabilization with Active Mode delivers smooth video, and 3-Way-Shake-Canceling adds electronic roll stability for even smoother results. 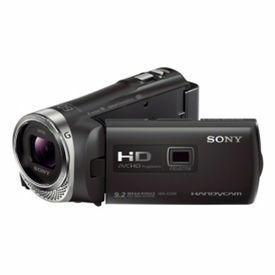 Users can monitor and playback footage via the 2.7" Clear Photo LCD display with 230K dot resolution. 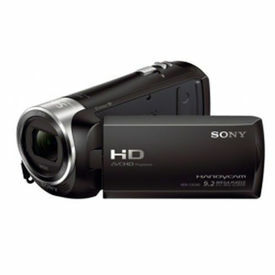 Dual recording lets you simultaneously capture both high-quality AVCHD and web-optimized MP4 files. The Intelligent Auto mode analyzes your shot and automatically selects the appropriate settings from ten distinct scene modes, with 60 different possible combinations. A built-in USB 2.0 cable provides a connection to your computer for charging or file transfer and fits conveniently into the hand strap, so it's out of the way until you need it. 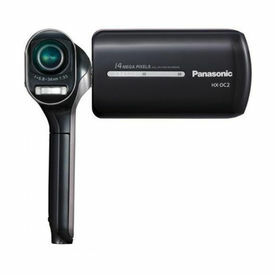 A rechargeable lithium-ion battery pack, USB AC adapter, HDMI Micro cable, and a USB connection support cable come included.